Reg Motion was a long-time technician with the NZ Post Office, who died in January 2019 at the age of 97. While there he asked me what I did in my spare time. Among other answers I mentioned that I had with me the Post Office Correspondence School’s course of study for the PMG certificate, and went on to say that it was so out of date (it still featured spark transmitters!) that I had given up on it. Reg said that he had (I think I am right) just released a four-volume study course for Post Office radio technicians who hoped to obtain a Certificate In Radio Technology (CRT) and he would send me a copy of each of those volumes (which) he did. MOTION, Reginald. ZL2LX Reg passed away peacefully on 14th January 2019 at Tauranga Hospital, at the amazing age of 97. Loving husband of Rose, married for 74 years. Adored father of Ngaire, Lorraine and Wendy. Grandad to Kym, Tania, Jane, Shaun and Anna. Great Grandad to Philip, Lewis, Leonie, Naomi, Courtney, Rocco and Valenna. A celebration of Reg’s life is to be held at Olive Tree Cottage, 247 Joyce Road, Pyes Pa Tauranga, on Friday 18 January at 2pm, followed by private cremation. Communication to the Moon family, c/o PO Box 3136 Greerton, Tauranga 3142. 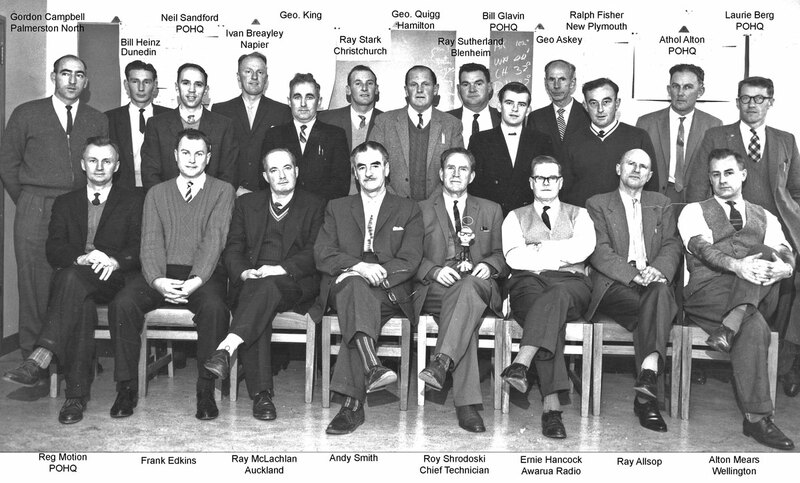 1963: Senior radio technicians attending a conference at Post Office headquarters. Courtesy Bill Heinz. Click to enlarge. 1. Morris, D.C. (2002). Auckland Radio, Alpha & omega. Waitakere City, NZ: Copy Out West. Preface.